!!!!!!!!! !The price is for a SILVER ring!!!!!!!!!!! 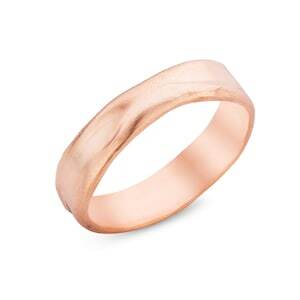 On the picture you'll see a 18K red golden ring. 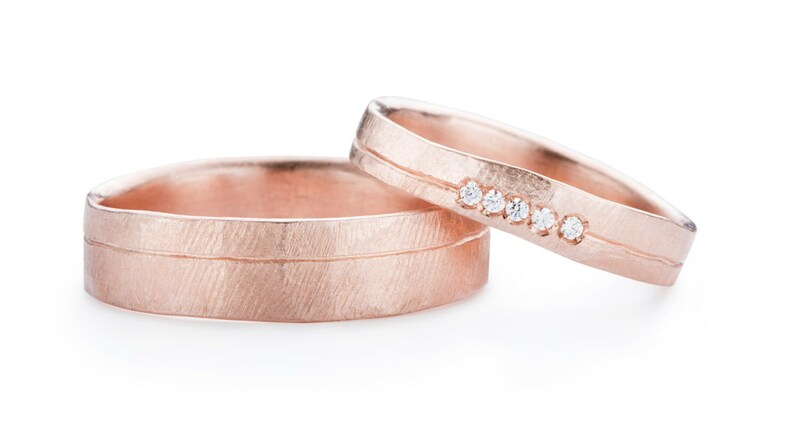 If you like it like this, you can ask for a custom made ring! 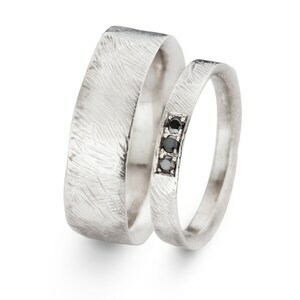 Silver 925 ring with 5 Stone Round Brilliant Cut CUBIC ZIRCONIA on a line and an edged rustic pattern. The stones are set, not glued. The ring is created out of one piece in solid silver and signed on the inside with my master-stamp + 925 silver stamp. 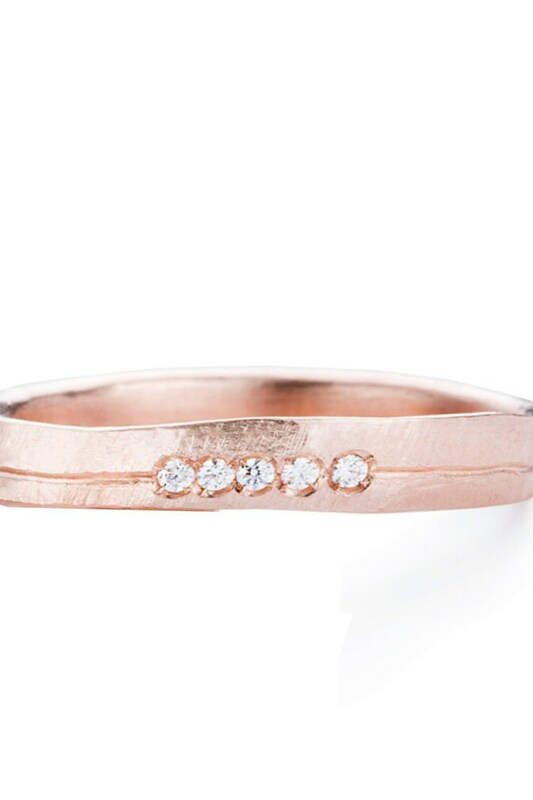 A ring you have for the rest of your life! 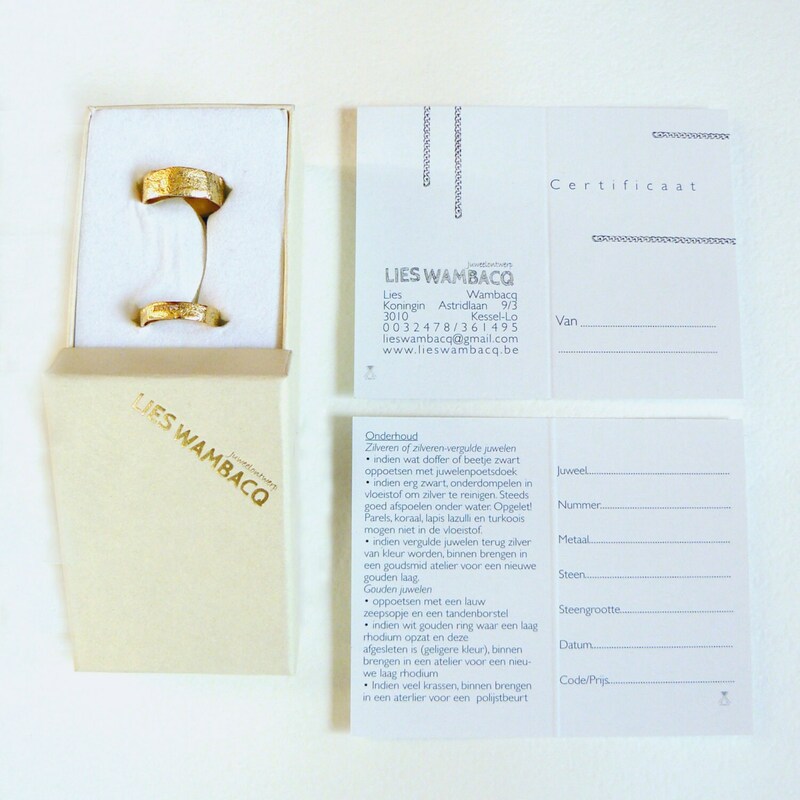 Your names and date, or whatever you like :) can be engraved inside of the ring. It's my gift to you! 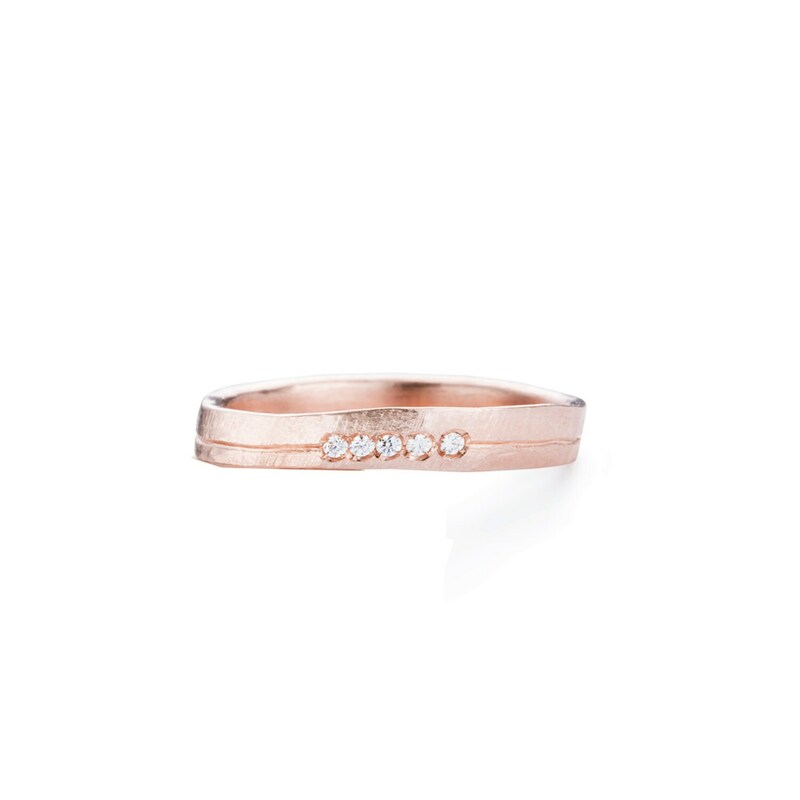 The price of the ring is for a silver ring, on the picture the ring is 18K red gold. 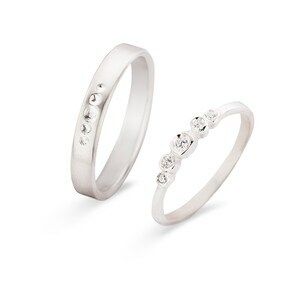 €238 for the ring with the 5 cubic zirconia set. 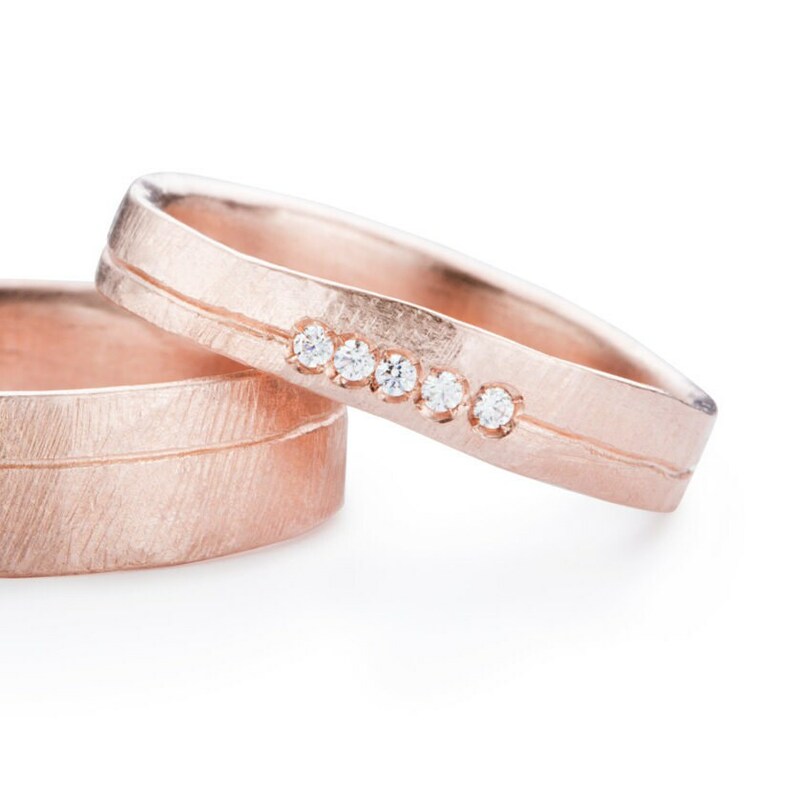 If you like the ring can be made wider or smaller -> each ring is completely made by hand and to measure. The ring will be sand in a jewel box with certificate. 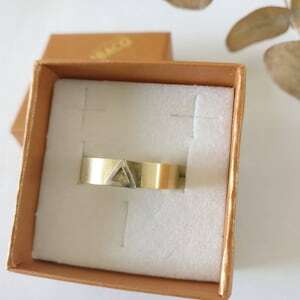 ONE of a kind ring with triangle.